(W/A/CA) Anders Nilsen. In this collection of letters, drawings, and photos, Anders Nilsen chronicles a six-year relationship and the illness that brought it to an end. Don't Go Where I Can't Follow is an eloquent appreciation of the time the author shared with his fiance, Cheryl Weaver. The story is told using artifacts of the couple's life together, including early love notes, simple and poetic postcards, tales of their travels in written and comics form, journal entries, and drawings done in the hospital in her final days. 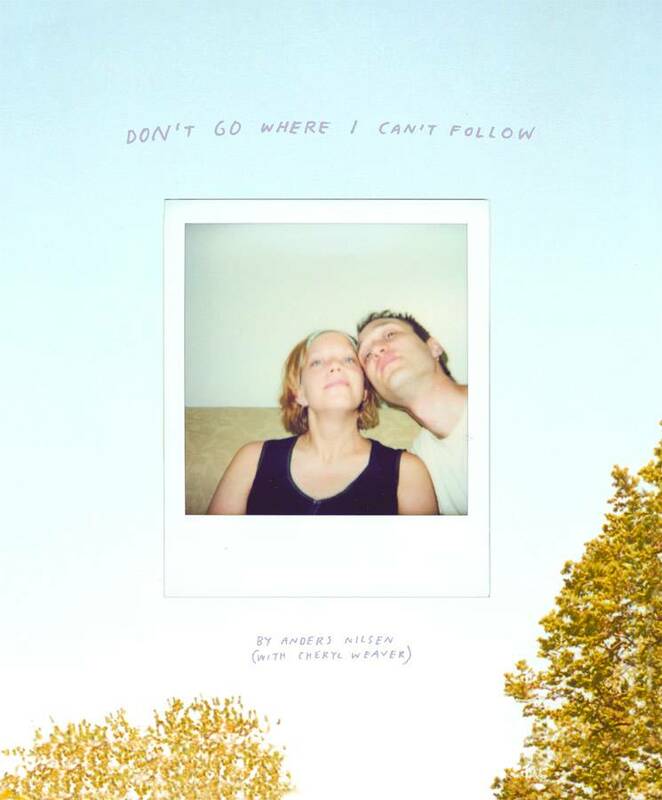 Don't Go Where I Can't Follow is a deeply personal romance, and a universal reminder of our mortality and the significance of the relationships we build..